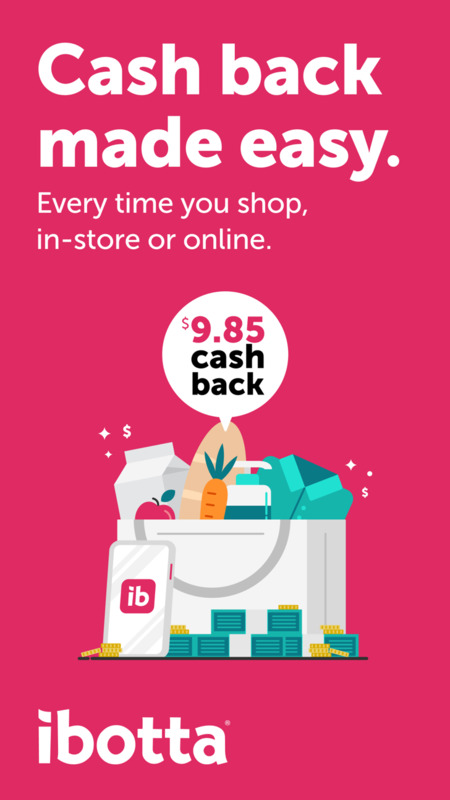 With Ibotta, you can earn cash back on every purchase, in-store or in-app. Simply check Ibotta before you shop in-store or online, travel, dine out, or make a purchase in your favorite apps, and you can get rewarded with cash back . Ibotta works with leading brands and retailers, including Best Buy, Lowes, Safeway, eBay and so many more, to help you save money without the hassle of traditional coupons, or promo codes. Our customers have earned over $500 Million in savings, just for shopping at their favorite stores! Start your shopping with Ibotta to save money on every purchase. Download the free app now! 3. Redeem offers – Upload your receipt or link your loyalty card for instant cash back. 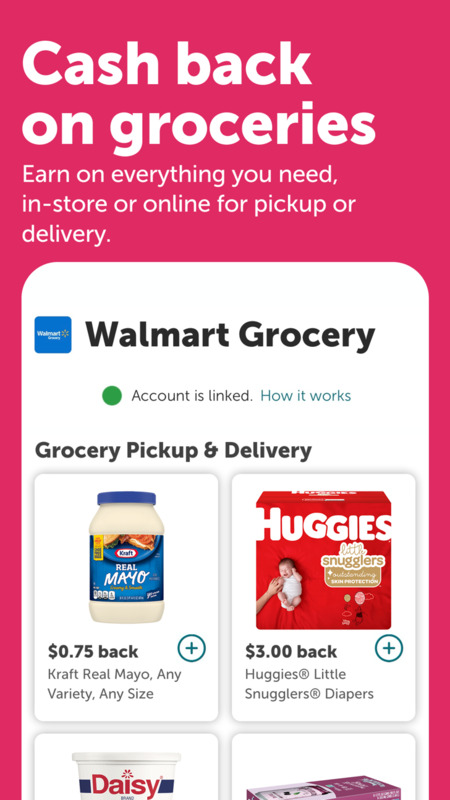 Ibotta is the easiest way to save money every time you shop. - Our partners include: Walmart, Uber, Target, Lowes, Kohls, Kroger, CVS, Rite Aid, Groupon, Jet.com, eBay, Boxed, Best Buy, Bed Bath & Beyond, JoAnn Fabrics, Drizly, Hotels.com, Minibar, Atom Tickets, Ebags, HotelTonight, Thrive Market, BloomThat, HotelStorm, Safeway, Walgreens, Costco, World Market, Orvis, Petco, Whole Foods, Trader Joe’s and many more. - Earn extra cash when you refer friends with your referral code! - Download the Ibotta app now to start earning cash back on every purchase, and watch your savings grow! Your feedback is what keeps us going! Please take a moment to rate our app. Note: Ibotta may use your location to help find stores. Continued use of your phone’s GPS running in the background can dramatically decrease battery life.